This styling by Emma Nunn for Weddings magazine…Beside the fact that Emma used our products for this shot, I can’t tell you how much I love the styling of this shot. 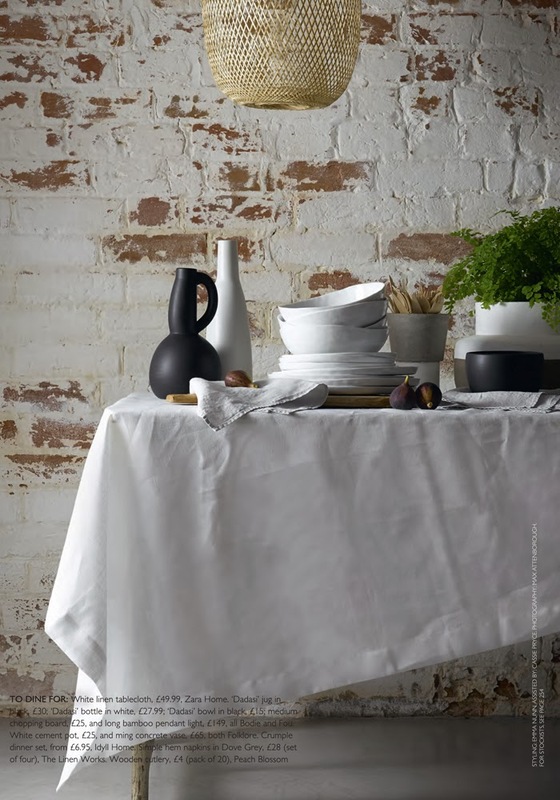 I love the rawness of the brick wall contrasting with the organic shapes of the Dadasi collection, the soft white linen tablecloth from Zara Home and the Bamboo lamp…stylish yet natural and welcoming. Next PostYou are fringe or pas fringe?